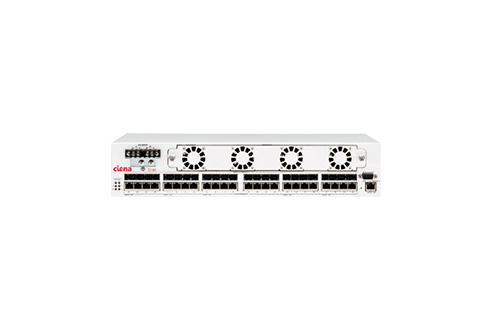 The Ciena CN 5140 is a service aggregation switch designed to bring next-gen Ethernet access to network subscribers, from residential services to delicate business and transport operations. Worldwide Supply stocks a variety of Ciena CN 5140 options, because the SAS is a cost-effective platform that works across fiber and copper connections. Providers select a used Ciena CN 5140 from us to maximize their spend while also offering secure features that include a high-capacity switching fabric and 24 Gigabit Ethernet ports. Each SAS is only 2RU and is designed to allow for front access to power and system interfaces, allowing it to work in a variety of racks and remote locations. Support your operational efficiencies with a refurbished Ciena CN 5140 from Worldwide Supply to ensure you can meet customer demands at a price that meets corporate demands. The platform provides the bandwidth and scalability to support thousands of Carrier Ethernet customers and a range of applications, including wireless backhaul. An important note on the Ciena CN 5140 is that it is designed to work within an extend temperature range, from -40° to +65° C, with a form factor specifically built for deployments that lack access to air conditioning. Outdoor cabinets, such as ETSI-compliant units, are a common home for Ciena CN 5140s in the field. Worldwide Supply ensures all our refurbished models, such as a used Ciena CN 5140, are brought back up to OEM standards and tested in real-world conditions, so you can expect access to its service-aware OS, carrier-grade ESM and Ethernet OAM, plus the other tools you need to grow your network.